We do not inhabit here from always. There we arrive after a pawned and gratifying life, but frenetic, lived in the town. 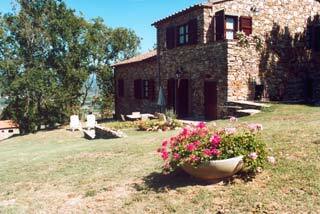 Our choice, caused from a desire of serenity and natural rhythms, carried us to the Podere La Sassaia. This farm, after a long period of neglected caused by the old peasants, was restored by us, with engagement and obstinacy, respecting its tuscany characteristics, with stone, trusses and little beams of chestnut wood and brick to see. Alberto, the son, agronomist and specialised in olive oil, supported us with enthusiasm and professionalism. 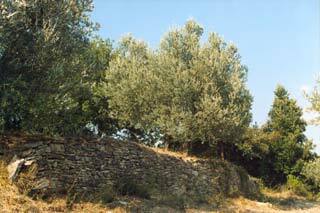 Today on the ours demoting terraces the olive trees stand out. We can smell every day the perfumes of the “Macchia Mediterranea”: rosemary, myrtle, lavanda, and you could see some beautiful rainbow after rare and short thunderstorms. 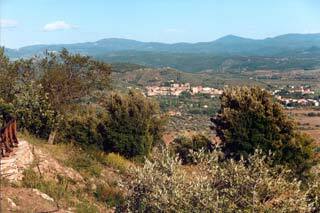 The apartments were created from the main house and a small country one and were named as some kinds (varietas) of olive trees that grow in our farm (Leccino, Frantoio and Moraiolo). They are furnished with care, each it is independent and different by the other and everyone have privacy, also in the private outside space.